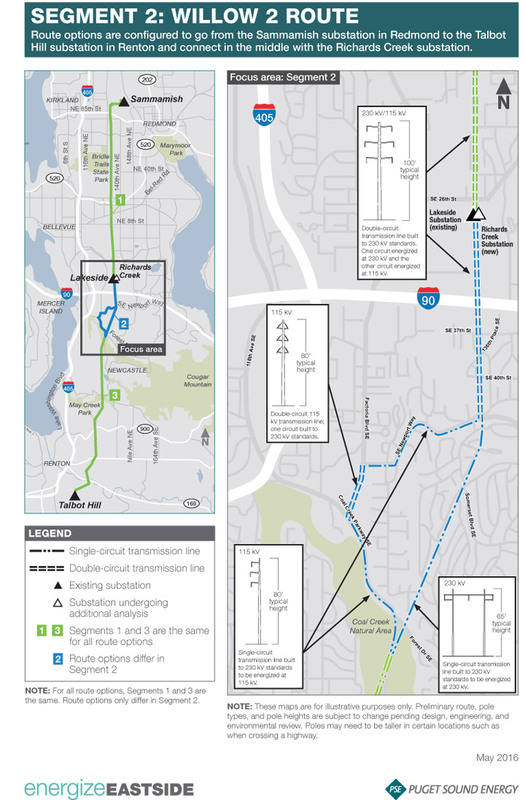 Shown below are past route options. 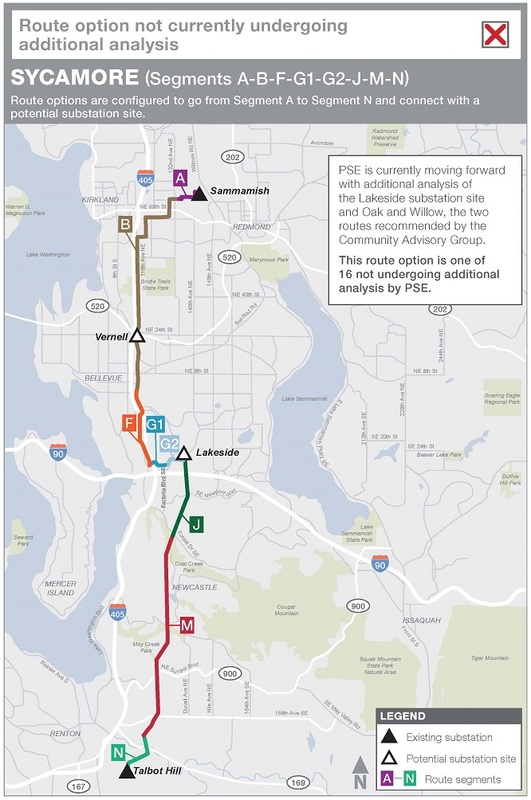 PSE prefers to use the existing corridor. 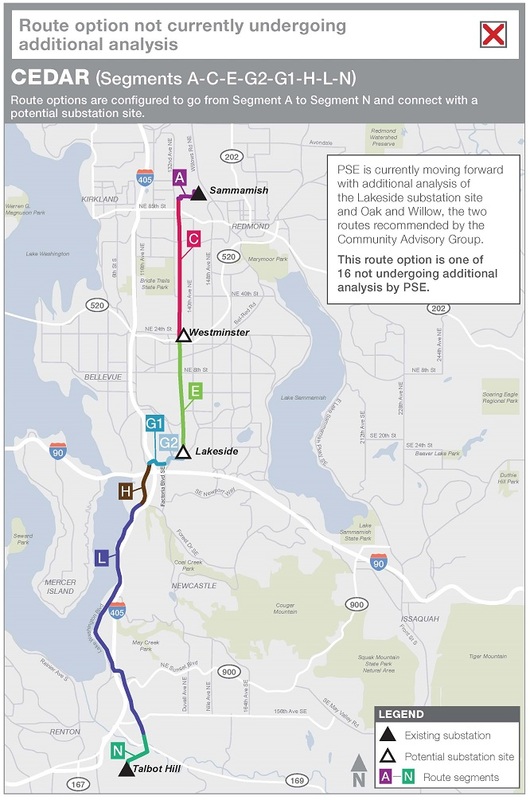 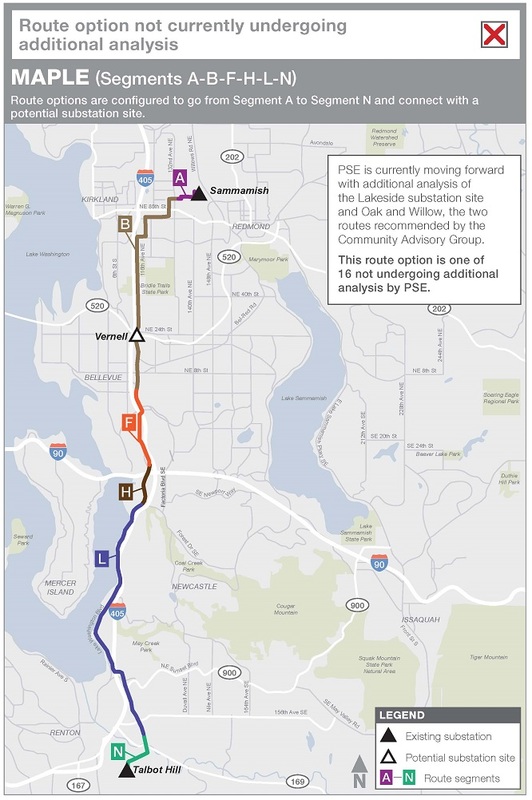 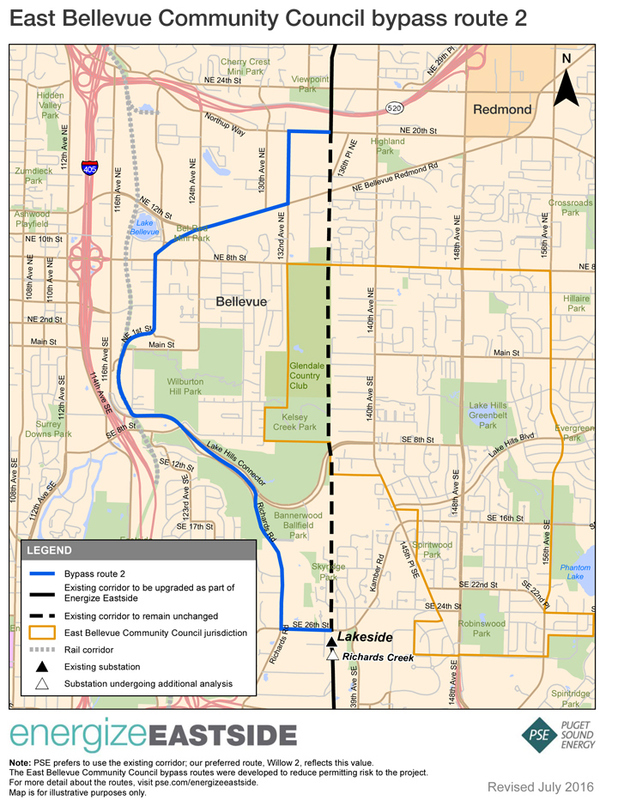 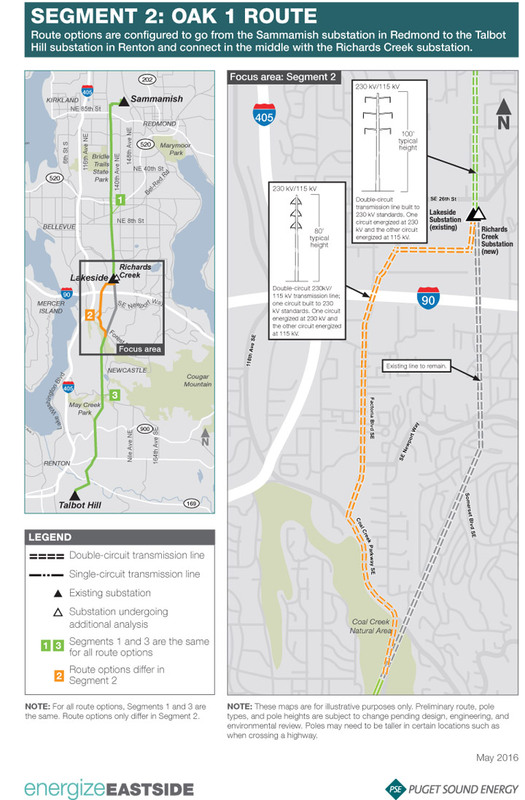 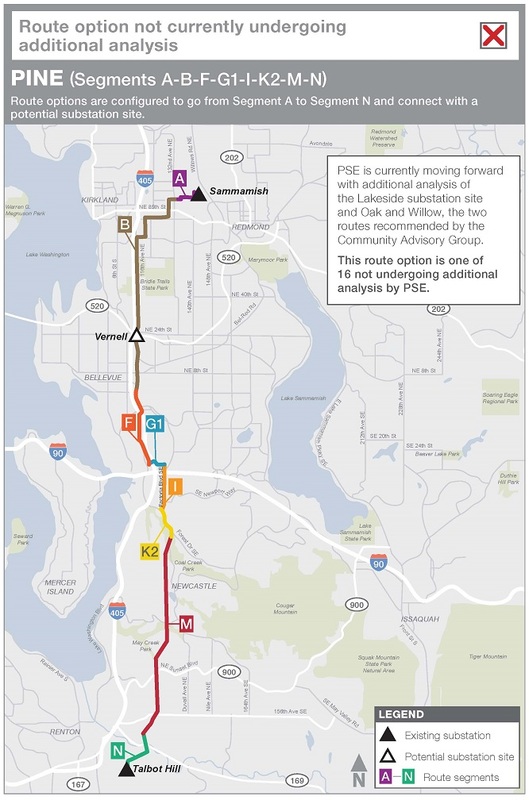 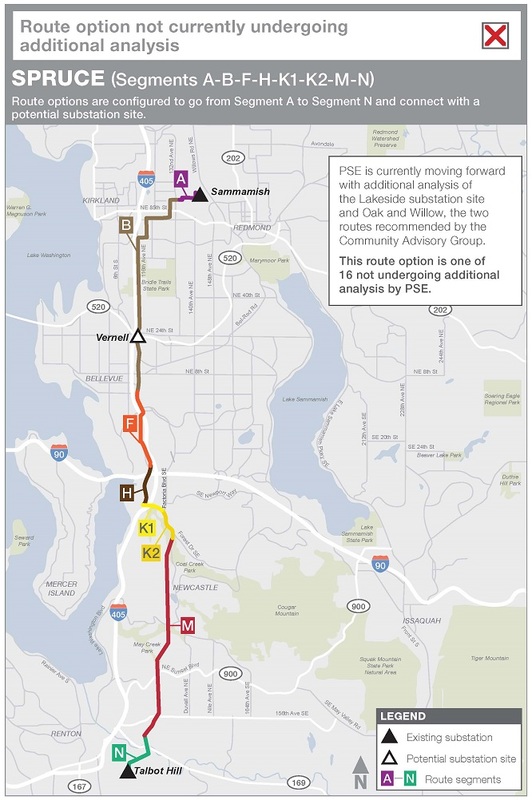 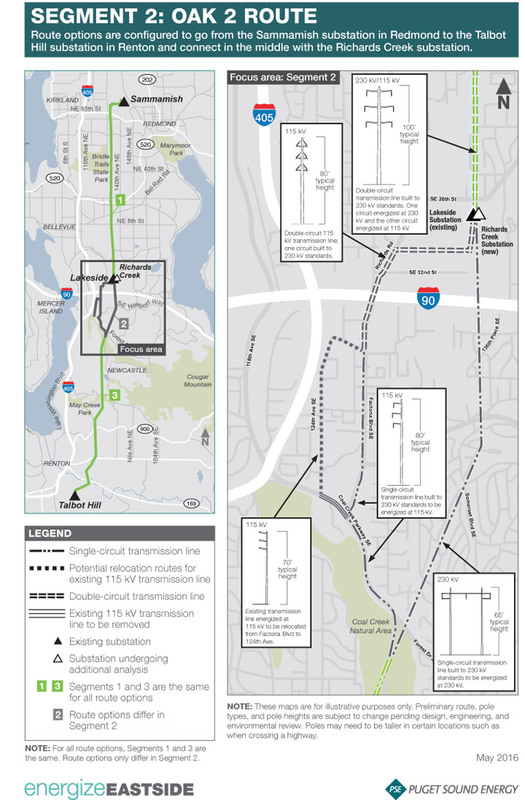 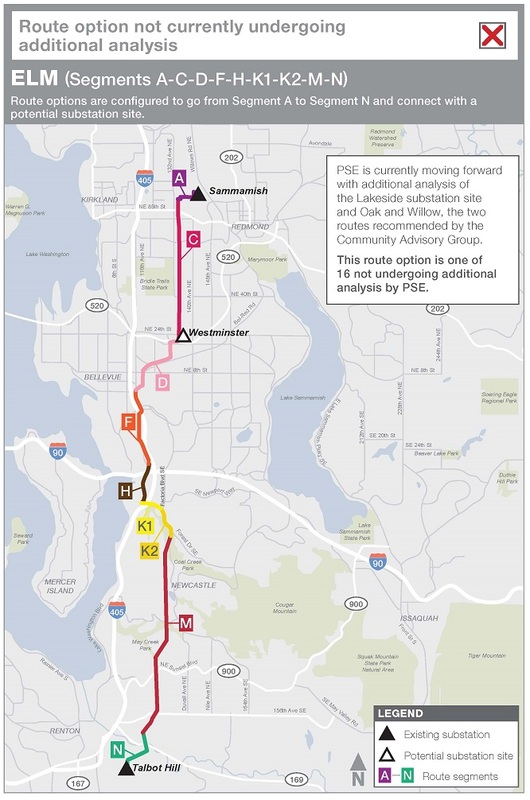 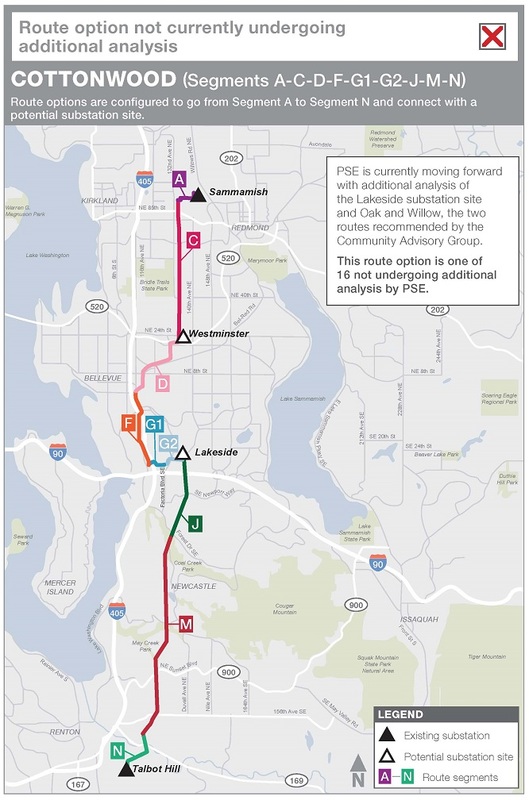 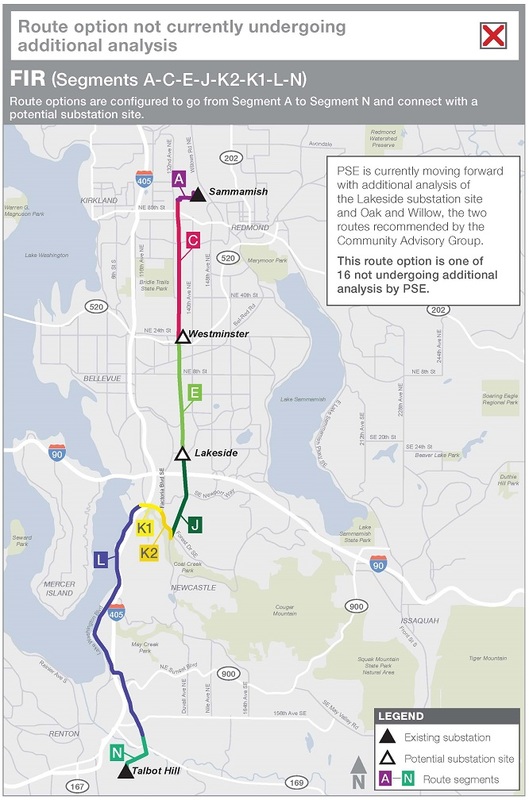 The East Bellevue Community Council bypass routes were developed to reduce permitting risk to the project.